Satisfy your head and your wallet with Rob-See-Co $eedCents®. This simplified seed financing option offers 0% financing and an easy, straightforward application process. There’s no additional paperwork after you’ve completed your application. And the minimum order requirement is just 100 units of corn. Use $eedCents financing for additional corn, soybean and alfalfa orders – while funds are available. At Rob-See-Co, we’re happy to leverage our relationships with local lenders to provide you with the Harvest Help finance option. Administered by a local financial service provider, Harvest Help offers low minimum requirements and a Prime -1% rate on minimum seed purchases of $2,500. Please contact us to apply and submit your application on or before March 31, 2019. Upon approval, you’ll sign a line of credit. The balance of your account is due on or before November 15, 2019. 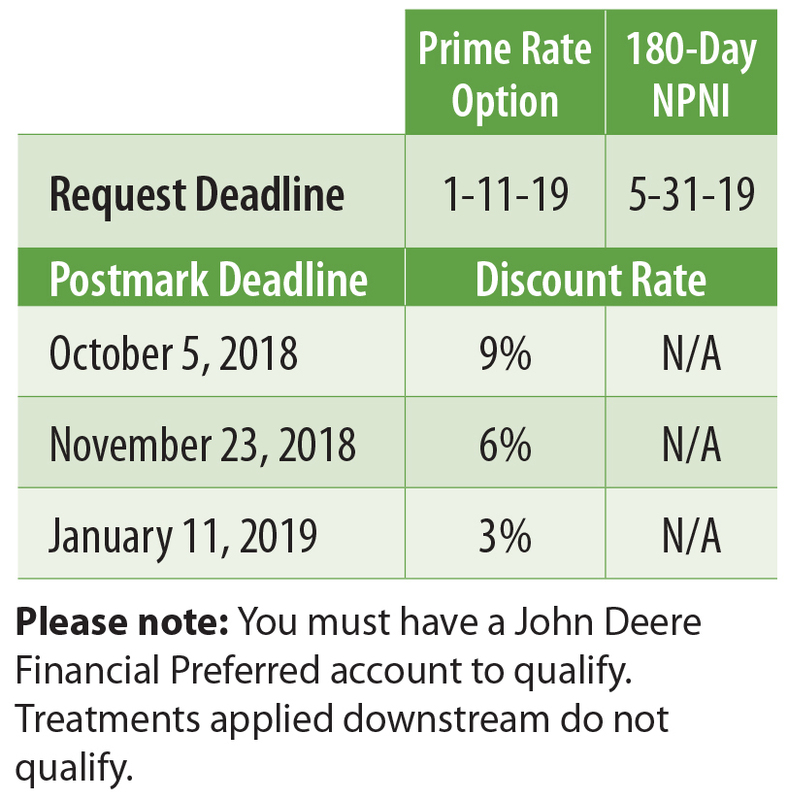 With the choice of two rate options and a low $1,000 minimum requirement, John Deere Financial can be a good fit for financing your Rob-See-Co seed purchase. It acts as a line of credit for your seed order and is due with your November billing statement. Choose between a prime rate option, which offers early cash discounts, or a 180-day no-payment, no-interest option.